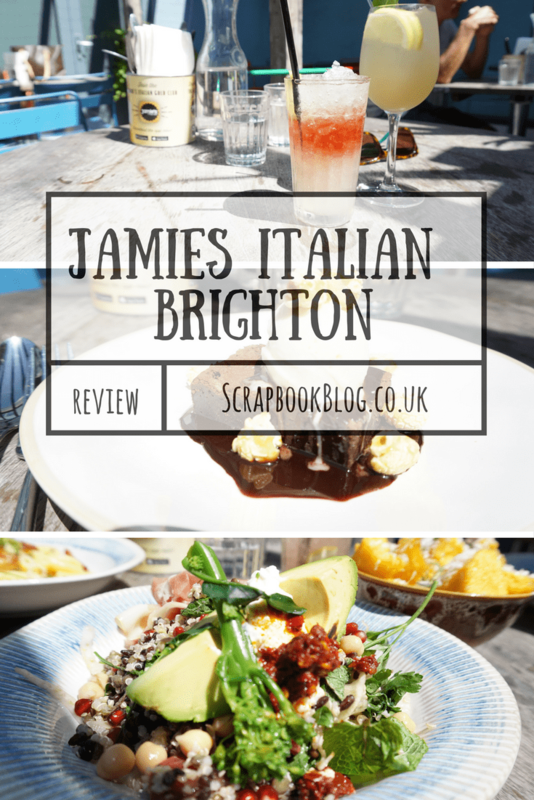 Jamie’s Italian in Brighton is a minutes walk from the beach, with two spacious restaurant levels and a sun terrace which is where I enjoyed lunch and cocktails last week! I’d not eaten in Jamie’s since I moved out of the City almost four years ago, and the menu has changed a fair amount since then! With a choice of pasta salads mains and sides, there should be something to suit everyone’s tastes. 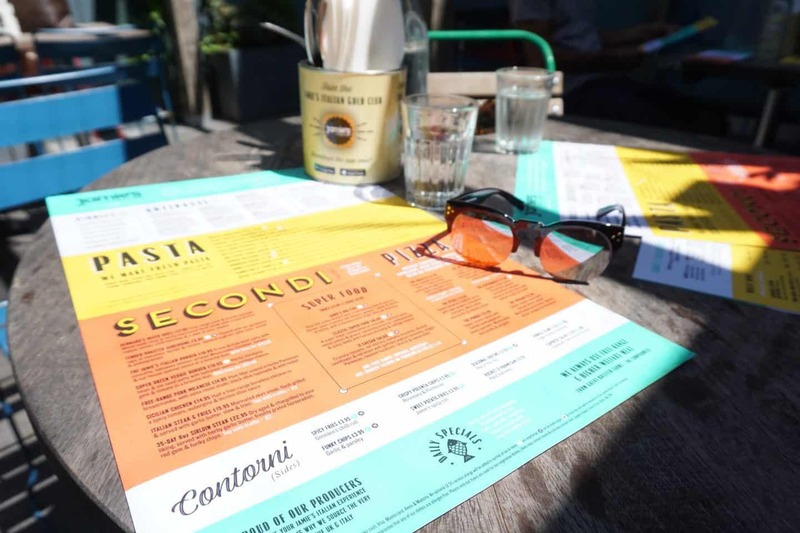 You can view the Brighton Menus and book online here. I chose a smaller portion of Silky Penne Carbonara (many of the pasta and salad dishes can be ordered in half sizes which is a great idea) and a smaller serving of the Classic Super Food Salad, A colourful bowl full of avocado, beets, mixed pulses & grains, sprouting broccoli, pomegranate & spicy seeds with harissa dressing & a dollop of cottage cheese. 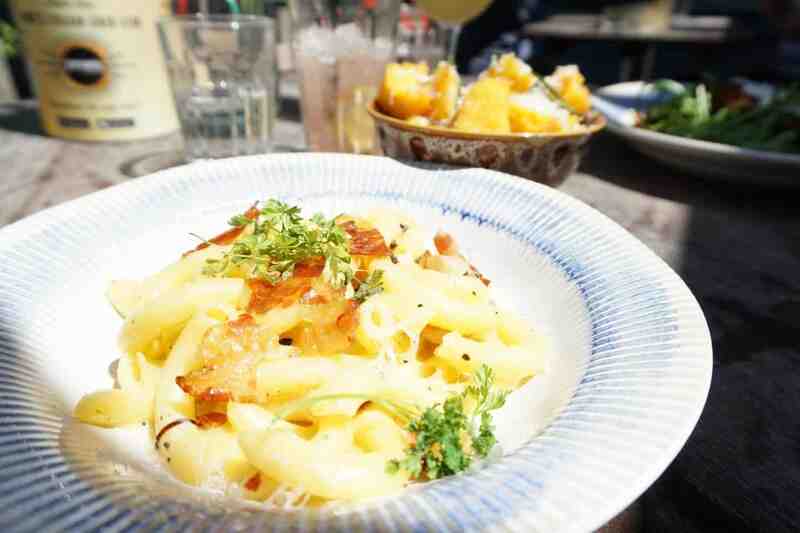 The two dishes worked really well together, creamy sauce, smoked pancetta and leeks and large pieces of penne pasta plus the crunchy of the salad – the best of both worlds! I also had a side of Crispy Polenta chips that were fluffy on the inside and so crunchy on the outside, I carried on eating them way past the point of being full, I just couldn’t help myself! 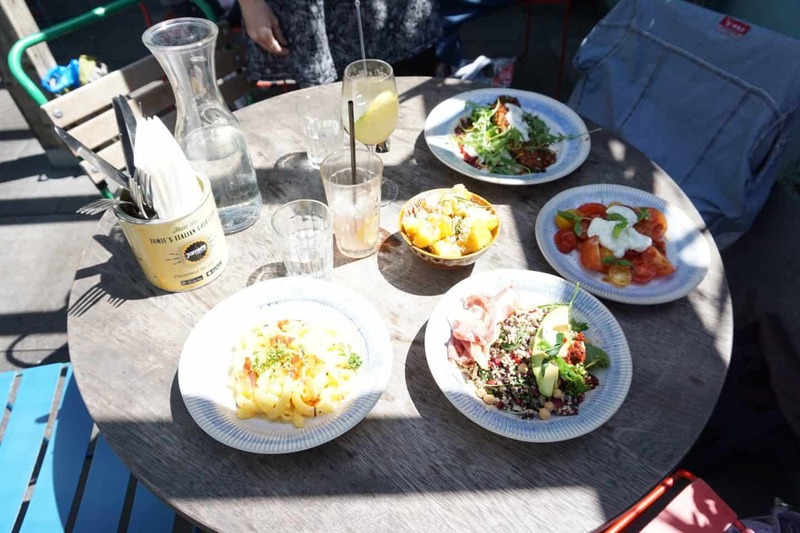 The presentation was spot on, and everything was served swiftly, though there was a little delay after finishing out mains and ordering deserts – possibly because the sun came out and the sun-terrace suddenly filled up with hungry people! There was nobody sitting inside at all when we left, and I don’t blame them! I dined with my friend Skye who is a coeliac, so can’t have any gluten at all. The online menu was a great help as you can tick the box to show only safe dishes, though our waitress was knowledgeable too. 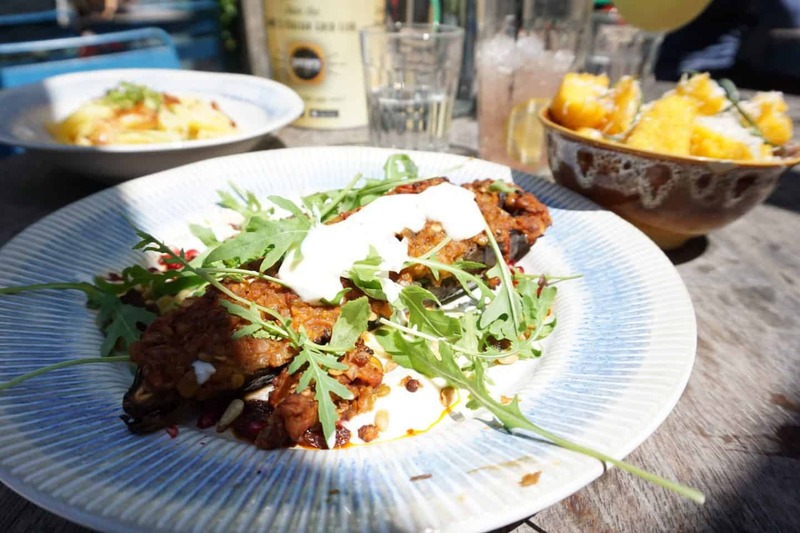 She chose the Tender Roasted Aubergine which arrived with a ragù of tomatoes, lentils & raisins, almond yoghurt, pine nuts, rocket & pomegranate, and looked amazing. She also had a Caprese side salad. Miraculously after devouring lunch and a Cocktail, the delightful ‘Florence Fizz’ Limoncello, pomegranate juice & elderflower cordial topped with Jamie’s Prosecco, I also managed to have room for dessert! 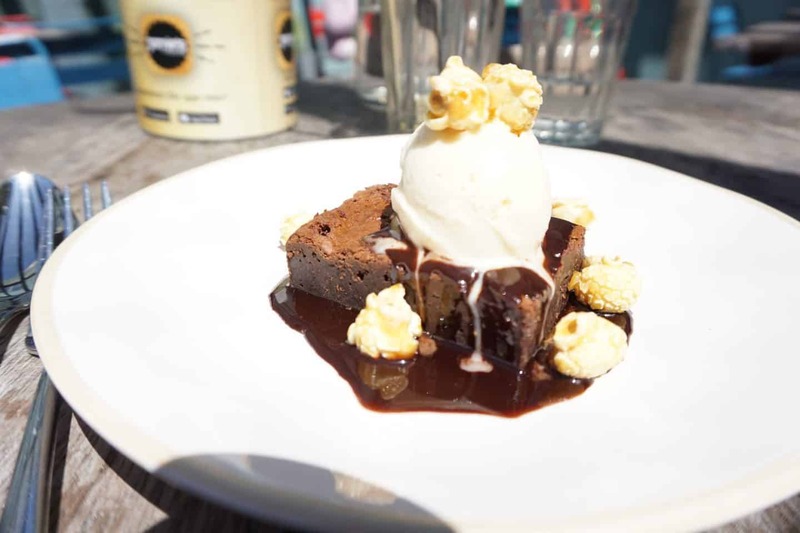 The Epic Chocolate Brownie was calling my name, and I couldn’t resist the salted caramel sauce, popcorn and delightfully squidgy chunk of Brownie! Along with ordering from the main menu there are two set price menus, Super Lunch is two courses for £11.95 or three courses for £13.95, Monday-Friday, 12-6pm and includes steak and fries and the Big 5 Salad. If you visit in the evenings Sunday to Thursday then you can get two courses for £14.95 or three courses for £17.95. You can view the menu online here, as well as find your nearest Jamie’s. The kids menu looked great too, so I think we’ll be back to dine with the sprogs soon! 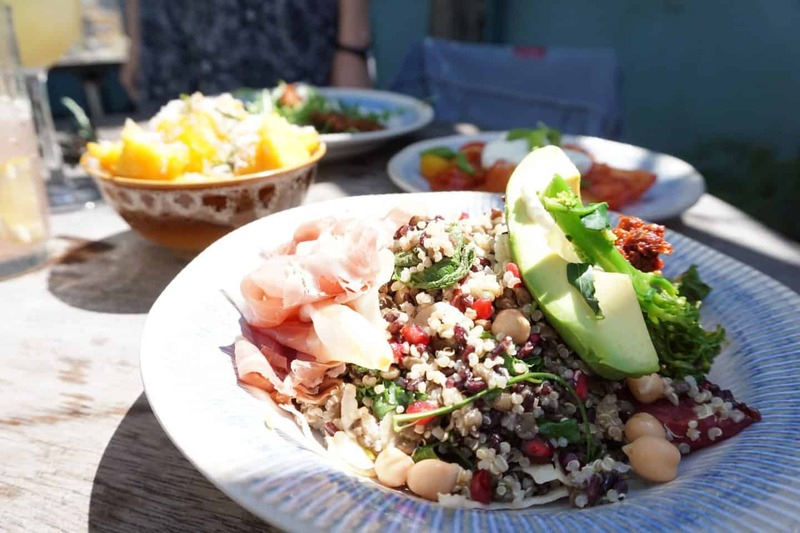 We received complimentary food and drink for the purpose of this review, all words and badly lit photos are my own - blame the sun!